Amazon jumps into AAA development, betting on online and Twitch. Amazon Game Studios has finally taken the wraps of its first internally-developed games. At Twitch Con, the company had a showcase event outlining the three titles shown: Breakaway, New World, and Crucible. All three games were developed for PC in Amazon's Lumberyard engine and designed to be streamed on Twitch. This was the primary game shown at the event, created by Killer Instinct developer Double Helix Games, now known as Amazon Games Studio Orange County. The studio calls Breakaway a "mythological sport brawler", but it's Halo's Grifball given the League of Legends/Overwatch-style Hero treatment. Breakaway is played from a third-person camera with the player having direct control of their hero. 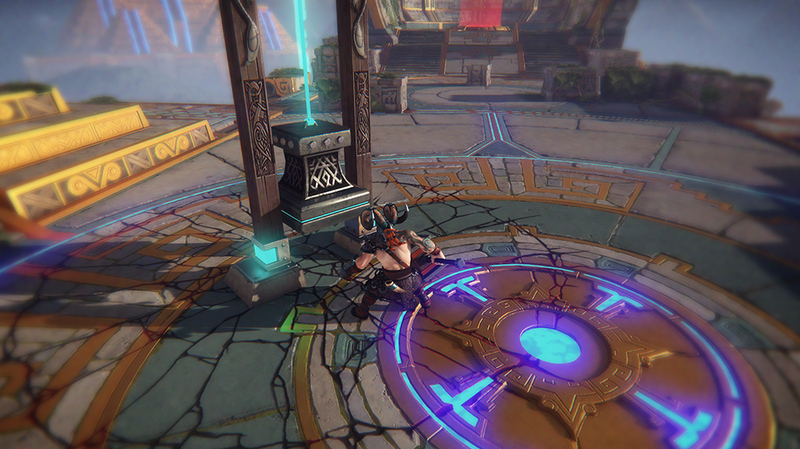 Two teams of 4 players vie for control of a Relic, that they bring to their opponents' Relay to score a point. Alternatively, you can defeat the entire team before they respawn. 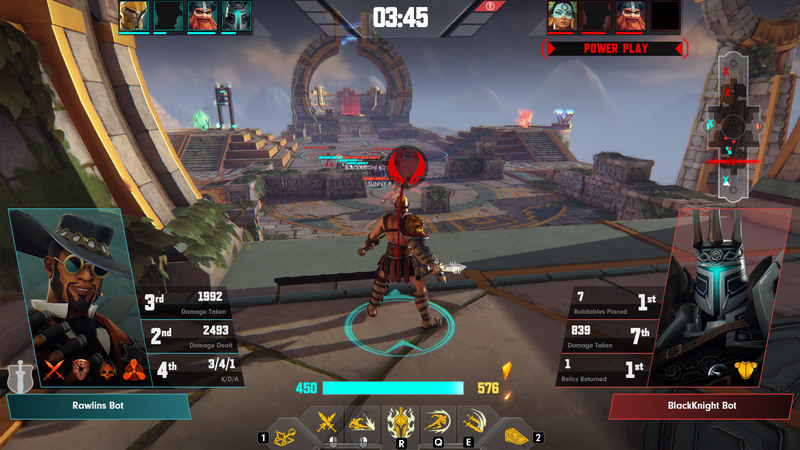 While players can directly attack opponents and objectives, Breakaway also adds a bit of MOBA flavor in the form of buildables. Each hero has unique items they can drop on the battlefield to aid their team or push opponents back. The pirate Anne Bonny has a Trampoline for example, which can launch teammates high in the air, while the witch Morgan Le Fay can drop the Elder's Stone, draining life from enemies and exploding once full. The big focus of Amazon's presentation of Breakaway was the new Twitch features the game will launch with. (Remember, Amazon owns Twitch.) The first is Stream+, a new Twitch console that allows viewers to earn loyalty points by viewing a stream, participate in viewer polls, and wager their loyalty points on key areas of a match. Yep, Twitch Gambling. It's focused largely on engagement, as viewers gain loyalty points simply by watching a channel and channel owners can look at their viewer leaderboards to offer prizes, giveaways, or game keys. There's also Metastream, which sends game data to web tools, allowing broadcasters to stream any in-game information in real-time. This means being able to stream kill-death ratios, damage output, mini-maps of the current game, and more. Then there's Broadcaster Spotlight, letting you know if you're in a match with someone who is broadcasting a game. Finally, there's Broadcaster Match Builder, letting broadcasters invite their viewers, followers, and subscribers into games. According to studio head Patrick Gilmore, the Twitch focus was all about the developer's experiences during Killer Instinct's launch. "The story of Breakaway goes all the way back to the acquisition of Double Helix by Amazon over two years ago. Developers who worked on Killer Instinct for Microsoft formed the kernel of the original team and were deeply influenced by the experience of watching Twitch broadcasters stream KI mere hours after the game was launched," wrote Gilmore. "Throughout the amazing changes of the past two years, the Breakaway team has sustained their love for tournament viable gameplay, direct control and hair-on-fire intensity. For our new game, we resolved to add teamwork to that formula. And from the very first blank sheet of paper, the team thought about streaming," he added. "Mind you, this was before Amazon acquired Twitch. Once Twitch, and more recently Curse, joined the Amazon family, the whole idea of designing for broadcast and viewership as well as gameplay became deeply ingrained in the sensibilities of the team." There is no set release date for Breakaway, but there are sign-ups for the game's Alpha. The Alpha requires a Twitch account. Crucible is a third person shooter where 12 players enter a hostile planet and try to be the last man standing. Every player can decide to work together or betray each other to survive. There's also a 13th player in each game: the game master. The game master can stream the game, creating events and challenges for the players, even as their audience interacts with the game in limited ways. Crucible has no release date yet. The third game on Amazon's list is New World, a sandbox survival MMO set in the early days of the colonization of North America. The twist is all the supernatural legends and horrors of the era are real. Players can choose to be a farmer, crafter, or adventurer in the game, and together they need to build camps, forts, and towns to survive. PVP is a given of course, with players being able to fight each other for dominance. The game also features 24-hour day-night cycles, weather, and crop-growth. Imagine Rust or Ark with a colonial spin. New World has no release date yet. Tagged with Amazon,	Amazon Game Studios,	Crucible,	News,	PC.